Sri Lanka’s government deployed army troops on Wednesday to restore fuel distribution crippled during a strike launched by trade unions who want to stop leases of oil tanks to India and China. 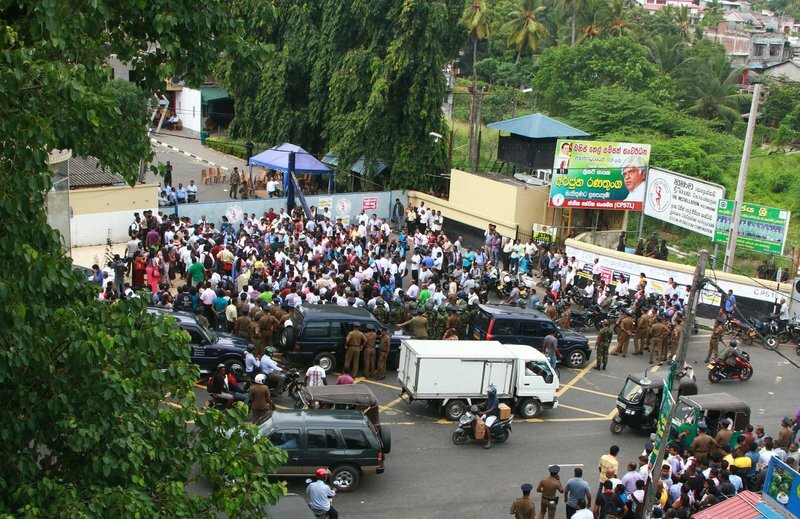 Long lines have formed at gasoline stations across Sri Lanka since Monday evening due to the strike by workers at the state-run petroleum company. Military spokesman Brig. 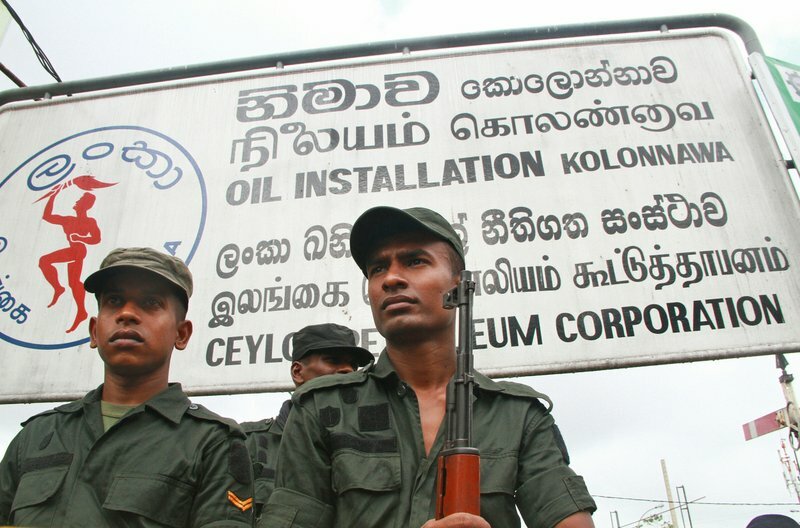 Roshan Seneviratne said troops entered the country’s main distribution facility and refinery at Kolonnawa and Muthurajawela outside Colombo early Wednesday and they are now working in distribution facilities alongside the workers not on strike to resume the distribution of fuel. The army deployment followed a government decree issued Tuesday night that the supply and distribution of fuel, including petroleum products and gas, were an essential service. The trade unions’ announcement on Wednesday that it would continue the strike came a day after the government approved of selling a large stake in a southern port to China. Ceylon Petroleum Common Workers Union spokesman D.J. Rajakaruna said that along with the agreement, China will get 11 oil tanks at the port. He also said the government was moving to give 99 oil tanks in the eastern port city of Trincomalee to India. The tanks were built by the British during World War II but were unused until some were given to Lanka IOC, a unit of Indian Oil Corp., in 2002 as part of a privatization deal, giving Indians a presence at the strategic port. Rajakaruna said the government is now trying to lease out 14 of the 99 tanks to Indian companies and have a joint venture for the other tanks. He said the tanks are a prime national asset of Sri Lanka but the agreements would benefit only Chinese and Indian companies, adding that the moves would severely affect Sri Lanka’s economy in the long run. The Cabinet approval Tuesday involved a long-delayed agreement to sell to China a 70 percent stake in a $1.2 billion Chinese-built port in the southern town of Hambantota. In January, hundreds of farmers and opposition supporters protested the government’s plan to lease the port, saying the proposed partnership was akin to a sellout of the country. The agreement on the deal is to be signed by the Sri Lanka Ports Authority and the state-run China Merchants Port Holding Co. over the weekend.